Tiny Harris: Here’s The Real Reason Why She Flew Across The Globe To See T.I. On Set! Rumor has it that Tiny Harris’ trip to South Africa to see her hubby T.I. while he’s filming Monster Hunter was really important for their relationship. Here’s why! It was surprising to see that the Xscape singer flew across the globe just to see her husband, but now, a source explained to HollywoodLife why exactly she decided to do it. ‘T.I. is in Cape Town shooting Monster Hunter with Milla Jovovich and Meagan Good, and Tiny’s there visiting him on set. 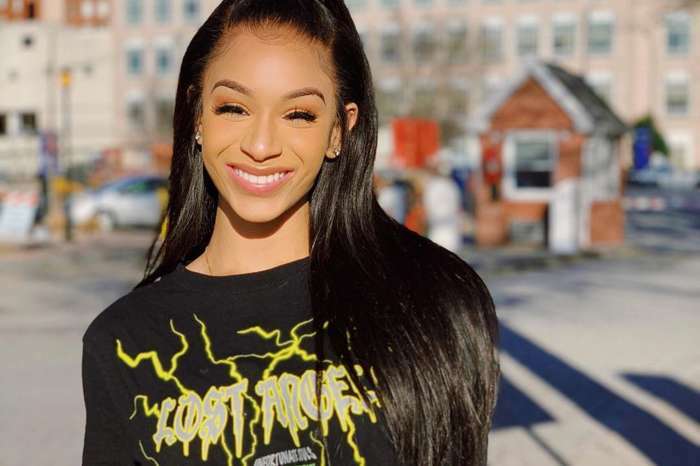 This trip was very unexpected for Tiny, she was supposed to be on the So So Def tour right now, but Jermaine Dupri ended up deciding to cancel most of the shows, the ticket sales weren’t there,’ the insider shared with the outlet. They went on to explain that ‘She was pretty bummed about it, so T.I. booked her a ticket to South Africa to be with him so he could cheer her up. You know, that did wonders for her, it turned a bad situation around.’ Aww… so sweet! Fans know all too well that their relationship is hot and cold, but lately, they have apparently been doing great. Another insider also dished that they have established some new rules in their relationship. ‘They’re both super buys so obviously that’s not possible all of the time but T.I. has promised her to make it a huge priority. Anytime they can follow this rule they do now, even if it means flying to South Africa,’ says the source. Khloe Kardashian Says That Reliving The Tristan Thompson Cheating Scandal Is "Very Hard"
Their love have history, it’s not up to the world to figure them out are throw shade at Mrs Harris, cause she want leave her partner, her best friend, and her husband….. I love their love… and when they reality show comes back, I will be watching it…… ??????? ?